A reflection of time spent as a small boy in the company of an unusual family at a neighbouring property, told by the adult many years later who appears to have been drawn back to the land and the three generations of women living there over and over again. As he tries to reconcile the events that took place, attempting to understand the impact of this family on himself, his own mother, father and sister, he creates a a visual of the mystical powers of of these women that is disturbing and dark. I am still thinking about this story months after I finished the book. I have recommended it to many others. Such a wonderful rich and remarkably vivid story. Gaiman is such an excellent writer but with this book, he shows a softer side of his story telling. 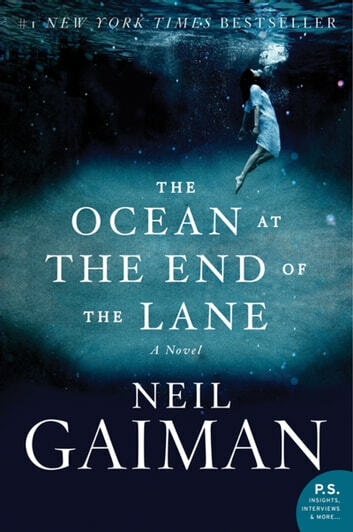 My first Neil Gaiman book. As much disturbing as it is fascinating, The Ocean at the End of the Road is a great book. I'd strongly recommend it. A roller coaster ride of a book that is near impossible to put down!